The OM2 is a dynamic vocal microphone used for a wide variety of live, home and studio applications. This mic has clear and accurate sound reproduction, resistance to feedback and ability to handle very high SPLs without distortion. The OM2 utilizes a tight, uniform pattern which helps isolate vocals from the instruments on stage. With a wide frequency range of 50 Hz - 16 kHz, the OM2 employs a VLM™ diaphragm for a clear, precise sound with exceptional voice response. Designed with a slight bass proximity and a tailored mid-range, the OM2 has a full-bodied sound on small to mid-sized PA systems while retaining true sound on large or professional PA systems. The D6 is used for stage, studio and broadcast applications. Designed with a cardioid pickup pattern for isolation and feedback control, the D6 is equipped with a VLM™ diaphragm for natural, accurate sound reproduction. Lightweight, compact and easy to position, the D6 is an excellent choice for miking instruments requiring extended low frequency reproduction such as kick drums, large toms and bass cabinets. The D6s transformer less design, low impedance and balanced output allow for interference-free performance. 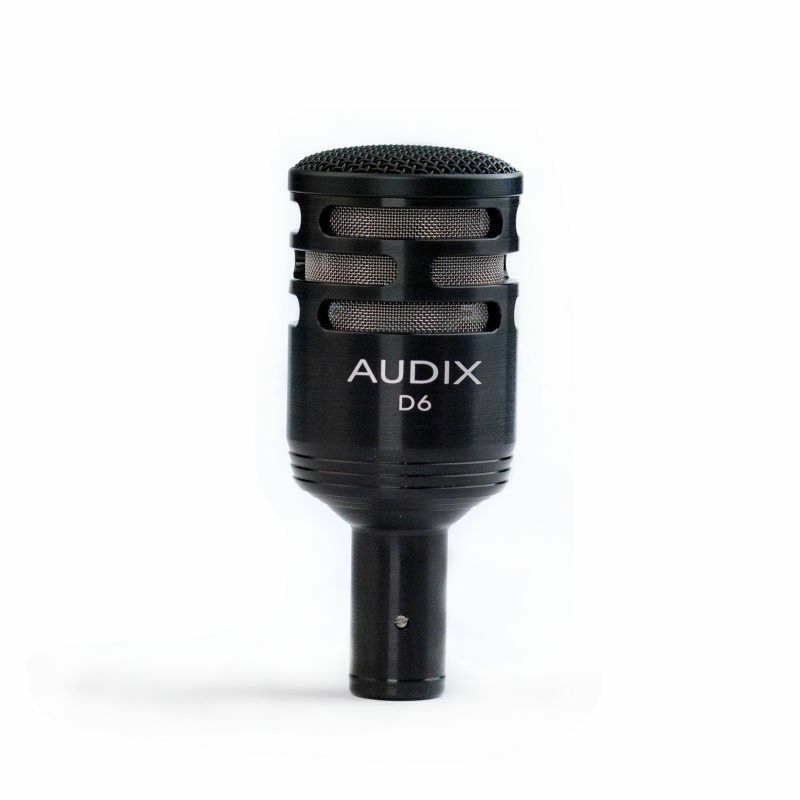 Designed, assembled, and tested by Audix in the USA.